The world's premiere communication robot Tapia, now Microsoft Azure Certified as an IoT device. The world’s premiere communication robot Tapia, now Microsoft Azure Certified as an IoT device. Home / newsen / The world’s premiere communication robot Tapia, now Microsoft Azure Certified as an IoT device. 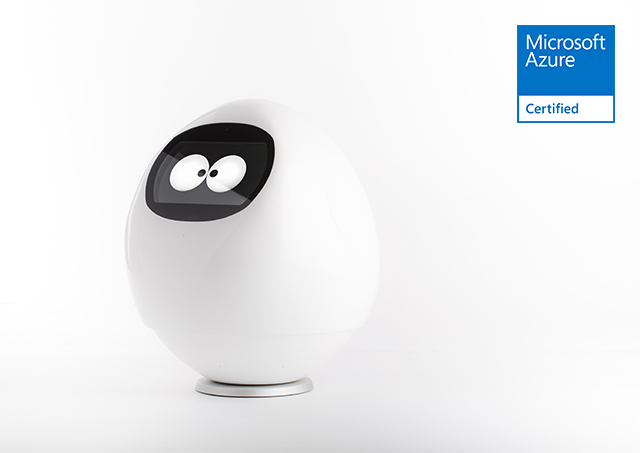 MJI’s communication robot “Tapia” has become the world’s first device to attain the “Microsoft Azure Certification for IoT devices” as a communication robot. The program certifies that a device can be connected with “Microsoft Azure IoT Hub” services. Businesses can readily deploy IoT solutions with Microsoft Azure by using certified devices. Microsoft Foresight ~ meet your smile: Robotics Stamp Rally – (held in September 2016), an evolved version of Tapia was deployed using Microsoft’s latest technology. This Tapia featured seamless integration with various external APIs such as “Face authentication API (Microsoft Face API)” “Microsoft Azure blob” “Microsoft Azure IoT Hub” “Recommended API for next point” and the “Stamp rally API.” Visitors received their “stamps” via face authentication performed by a Tapia set up at each point in the stamp rally. Tapia is designed and developed based on the Android OS, and the Tapia Development Kit scheduled to be released this spring is an environment that can be easily used by Android developers. By using the Azure IoT Gateway SDK, many contact points will be created not only in general homes but also in business places. In addition to working with various IoT devices via Bluetooth and Wi-Fi, by supporting IoT Hub Device Management it is possible to remotely manage many devices, providing error detection, software version management, etc. Using Microsoft Azure, Tapia can provide a variety of IoT services to hotels, restaurants, and sightseeing spots–services such as foreign language guidance and information.